Prof Bruce McKern shared his insights on innovation in China in his recent CGTV interview – why it is important to the country, and how heavily China is investing in it. Dr. Bruce McKern 布鲁斯 马科恩 is an educator, corporate advisor and speaker on innovation, strategy & international business. His most recent work is on innovation in China, on which he has spoken to many businesses, universities and government organisations in recent years. Prof. McKern currently is Adjunct Professor of UTS Business School, University of Technology Sydney. He was Professor of International Business and Co-Director of the Centre on China Innovation, China Europe International Business School in Shanghai. He also works as an adviser for the Maritime Silk Road Society in Hong Kong. Throughout his career,Prof. McKern has held several research and teaching positions at various global teaching institutions, including most recently at Oxford and INSEAD. Prof. McKern has conducted executive programs for a wide range of international companies including Schneider, Bayer, Philips, GE China, Bosch Group, Element 6, Nitto Denko, E&Y, Rio Tinto, Goodyear China, Nestlé China and Shandong Gold. Prof. McKern writes extensively about innovation, strategy and international business. He is the author and editor of numerous academic papers and no less than eight books. 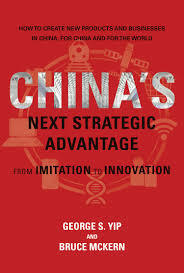 His latest book, China’s Next Strategic Advantage: from Imitation to Innovation, has been published by MIT Press. 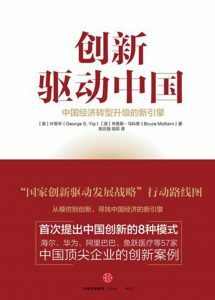 He is also a regular commentator on issues of Chinese innovation and MNC strategy in Chinese and international media. 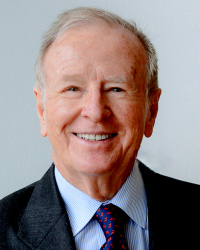 Prof. McKern hold a Doctorate in International Business from Harvard Business School and a BE in Chemical Engineering from the University of Sydney. Contact us if you would like to have Dr. Bruce McKern speak at your next event. Matthew Brennan: What is WeChat and Why is it Important?